Not a single poster of senior BJP leader LK Advani in Amit Shah's rally at the mega rally venue of BJP President Amit Shah in Naranpura. Advani represented Gandhinagar for decades. 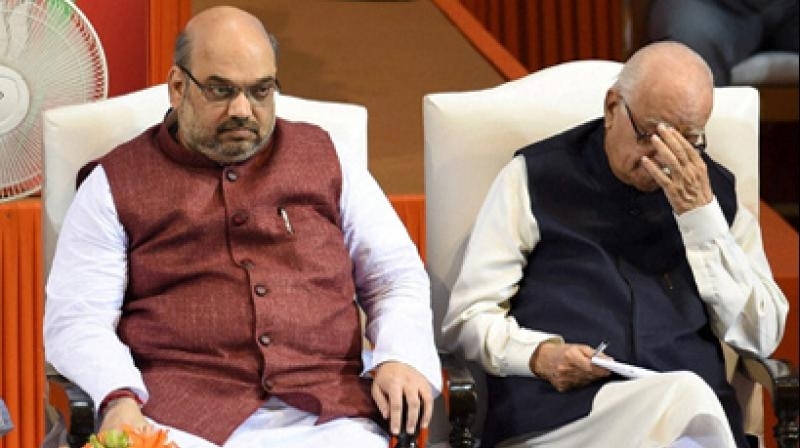 Amit Shah contesting Gandhinagar is seen as the end of the road for LK Advani, who held the seat for six terms. Mr. Advani, who has been upset ever since he was replaced, was not present at today's road show. Mr. Advani, 91, is the founder member of BJP and is credited with taking the party to the national stage with his rathyatra campaign for a Ram temple at Ayodhya in 1990. He had won the seat for the first time in 1991 by defeating GI Patel of Congress by a margin of over 1.25 lakh votes. In 2014, Mr. Advani won by over four lakh votes in 2014. The last date for filing nominations is April 4. Voting for all the 26 seats of Gujarat will take place on April 23.